Alan Turing (1912-1954) was a brilliant man who is most famous for his work with cryptography during the Second World War. According to the movie The Imitation Game, he and the other cryptographers shortened the war with two years, saving more than 14 million lives. But the movie is a very simplified version of Alan Turing's life, and if you want to learn more about him you should read the biography Alan Turing - The Enigma by Andrew Hodges. 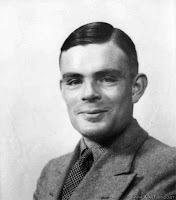 I believe Alan Turing - The Enigma is the most famous biography about Alan Turing. Among other things, you will learn that during the war Alan Turing decided to buy silver bars and hide them beneath the ground in case the Germans invaded Britain. After the war, Alan Turing and a friend tried to find the silver bars. He sort of knew where they were hidden and they also brought a metal detector, so the dug some holes, but they couldn't find them. So if you by chance find some hidden silver bars near Shenley in England, they might be Alan Turing's lost silver bars. While not hiding silver bars or solving German codes, Alan Turing was thinking about artificial intelligence, and he is widely considered to be the father of artificial intelligence. Within the field, Alan Turing is most famous for developing the so-called Turing test. 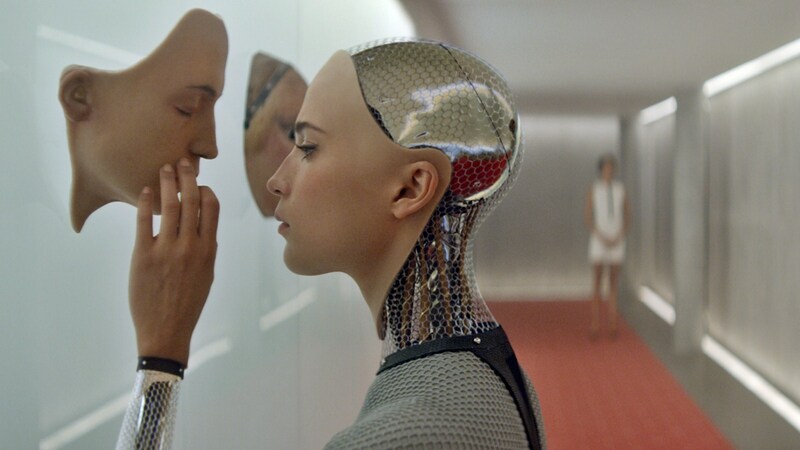 The basic idea behind the Turing test is to figure out if an artificial intelligence is really intelligent. If you have seen the movie Ex Machina, you have seen that the creator of the robot Ava wants the main character in the movie to administer a Turing test to see if the robot really is intelligent. The movie is fiction, but there are reports that a computer program called Eugene Goostman, which simulates a 13-year-old boy, has passed the Turing test. So the test is limited because the chatbot is not intelligent. But Alan Turing developed the test at least 60 years ago, so we can't blame him. What we need is an updated Turing test. Some have suggested that a better idea is to test the ability of an AI to predict which is really what our brain is doing (according to some theories). Speaking of brains, as the Second World War ended Alan Turing told a friend that he wanted "to build a brain." That was not an easy task in 1945 - even in 2016 we are not really sure how the brain really works. For example, we have no clue why we have to sleep. There are theories, but no facts why we actually have to spend one third of our lives in bed. It's unclear how much Alan Turing knew about the physiology of the human brain. The brain cell itself, which is called a neuron, was discovered in the 19th century. But it wasn't until 1952 that Alan Lloyd Hodgkin and Andrew Huxley presented the now famous Hodgkin–Huxley model, which is a mathematical model for transmission of electrical signals in neurons. Alan Turing, who was a mathematician, would have liked the Hodgkin–Huxley model as it consists of several differential equations, but is is unclear if he ever saw it (he was working with something called morphogenesis, which is how spots appear on animals, when the report came out). He died two years after the model was finished. But the same scientists who developed the Hodgkin–Huxley model had in 1939 published a paper how they had recorded action potentials from inside a nerve fibre. So even though neuroscience wasn't as popular as it is today, there were pieces and theories Alan Turing could have used. "He would have seen pictures of nerve cells, but at the level at which he was approaching the description of mind, the details were not important. In speaking of building a brain he did not mean the components of a brain, or that their connections should imitate the manner in which the regions of the brain were connected. That the brain stored words, pictures, skills in some definite way, connected with input signals from the senses and output signals to the muscles, was almost all he needed." Alan Turing's idea to build a brain was to write "instruction notes" and see whether a machine could behave like a brain in developing "thinking spots" for itself. He wanted to show that a machine could learn. The problem was that he didn't have a machine to experiment with - the computers we have today would have helped him but they didn't exist back then. The brain he wanted to build was a universal machine that would be all machines. In 1944, Alan Turing said that he had plans for "the construction of a universal machine and of the service such a machine might render to psychology in the study of the human brain." Once, Alan Turing held a speech about his plans for building a brain. He said: "No, I'm not interested in developing a powerful brain. All I'm after is just a mediocre brain, something like the President of the American Telephone and Telegraph Company." This was while he was in US and had consulted the American Telephone and Telegraph Company and was apparently not satisfied with the situation. He then continued to explain how he wanted to feed the brain with facts on prices of commodities and stock, and then ask the machine the question: "Do I buy or sell?" "...by applying appropriate interference, mimicking education, we should hope to modify the machine until it could be relied on to produce definite reactions to certain commands." "I certainly hope and believe that no great efforts will be put into making machines with the most distinctively human, but non-intellectual characteristics, such as the shape of the human body. ...their results would have something like the unpleasant quality of artificial flowers. Attempts to produce a thinking machine seem to me to be in a different category." Habrador will on occasion post links to information on other websites. Such links and the information thereon are not under Habrador’s control. Merely because a link to a third party site appears in this blog does not mean that Habrador has reviewed or approved of the link and its content.